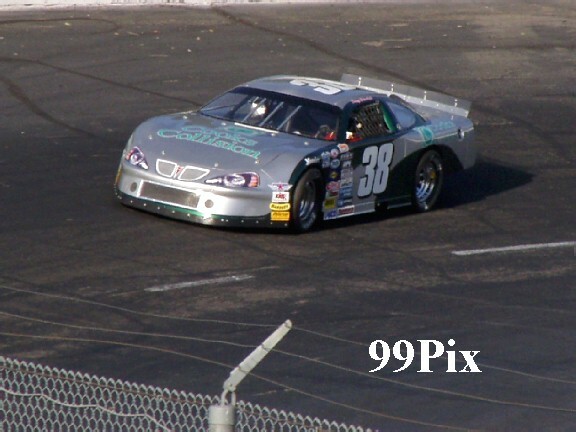 STOCKTON — Considering his racing background, #63, Jason Fensler's stated goal for the 2005 SRL Wild West Shootout series seems a tad low. The 29-year-old Elk Grove resident has been racing in the Central Valley for more than 12 years, excelling at long-distance races. While Fensler, said he wants to avoid a "Did Not Finish" on the SRL Wild West Shootout series, he made winning the year's first 100-lapper look easy Sunday at Stockton 99 Speedway. "I didn't expect it to be like this," Fensler said. "I knew we could be top five. Our goal is a championship. But this is an added bonus. We'll see. There are 11 more to go." A crowd of 2,929 was on hand for Opening Day at Stockton 99, lower than expected for an opener, but on par with recent attendance figures. 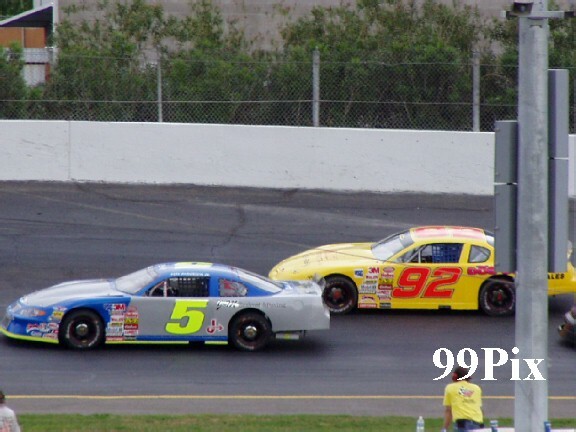 The event competed with the televised NASCAR Nextel Cup race and wasn't helped by the weather that turned from humid to cool with the threat of rain. Fensler's victory was followed by #5, Pete Anderson's win in the 100-lap Western Late Model main. 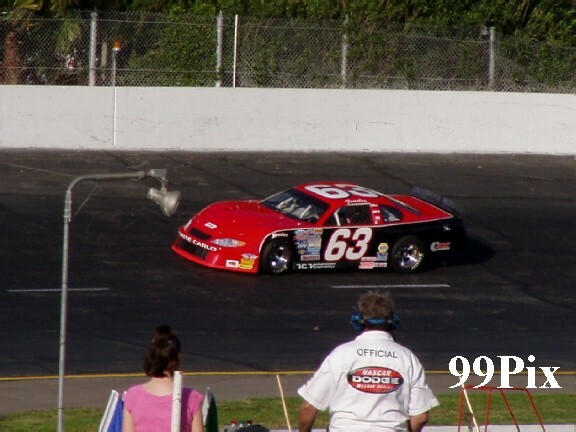 The track's feature division was slowed by five caution flags and two red flag stops. The rain started falling about 10 minutes after Anderson claimed the first 100-lap victory of his career. Anderson climbed from ninth to second during the race and said he was waiting to make his move. Gary Shafer Jr. of Stockton was doing a great job and looked as if he had the race in hand. But an aggressive move late in the contest proved enough for Anderson to get around Shafer for the win. "My spotter told me 'It looks like it's going to rain. You better get with it,'" Anderson said with a smile. Shafer Jr. finished second, another returning vetren Scott Masellis of Modesto was third, Manteca’s Danny Guibor cruised to fourth and Tracy’s Ryan Philpot was fifth. 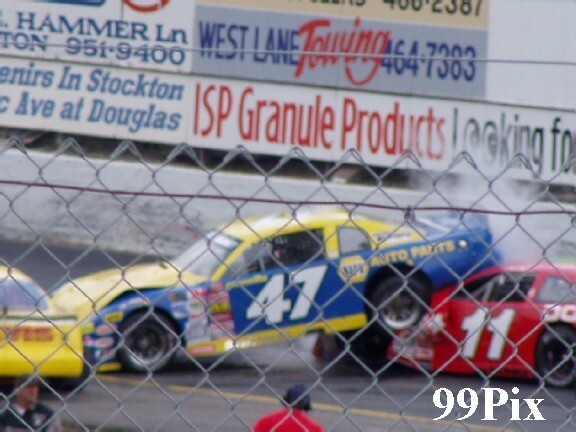 The raced was red flagged when #47 Aaron Shankel ended up on top of Stockton Dodge's #11 driven by Chris Monez. Both drivers were okay. 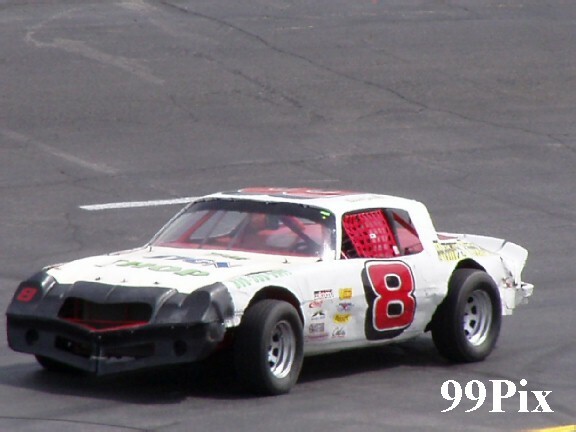 Kannai Scantlen, #8, of Stockton won the CL BRYANT American Limited Stock Car opener. Kannai has won the last three season openers at 99. He credited the new tires for his win, saying you could drive deeper into the corners because the new tires stick better. Boyd Camper of Manteca was second, Team Grad driver Richard Harper finished third, past contender returning for a new full season Lodi’s Jeff Ahl came in fourth and Stockton’s David Holman checkered fifth. Fensler posted the fast time in the SRL Wild West Shootout, (14.035), and started eighth in an inverted order. 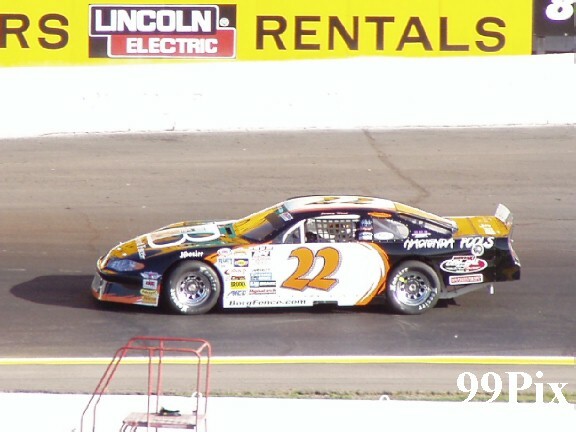 Tracy's Jeremy Wood, #22, led the first 39 laps of the SRL Wild West as Fensler worked his way to the lead. Fensler enjoyed long stretches where seven cars separated him and runner-up Joey Zampa of Napa. Zampa managed to catch up to Fensler with three laps to go when Wood brought out the caution flag by hitting the back wall. Fensler's car was too strong for Zampa to pass on the green-white-checkered restart. "Lapped traffic played a huge factor," said third-place finisher #38, Troy Ermish of Fremont. "Jason got through better than we did. We had a real good car. We felt fast in practice. We knew if we stayed out of trouble we could be up there." Fensler, who won this first 100-lapper at Stockton at age 19 and claimed three Western Late Model 100-lappers at Stockton last year, said experience at the track definitely helped. But he credited his Allen Beebe Racing team for providing him with good equipment. "It's just the confidence all over the entire team," Fensler said. "More than anything, the people on this team are first class. With Eric (Holmes) and Ty (Joiner) preparing the cars, I have so much confidence." Fensler was approached by Beebe toward the end of last season about racing this year. Fensler's father Steve, the touring series' former race director, was already considering a smaller role in the popular series. With no conflict of interest, Jason Fensler was eager to race with some of the area's best drivers. "These guys have the absolute best series on the West Coast," Fensler said. "You race quality drivers who tend to know what they're doing." 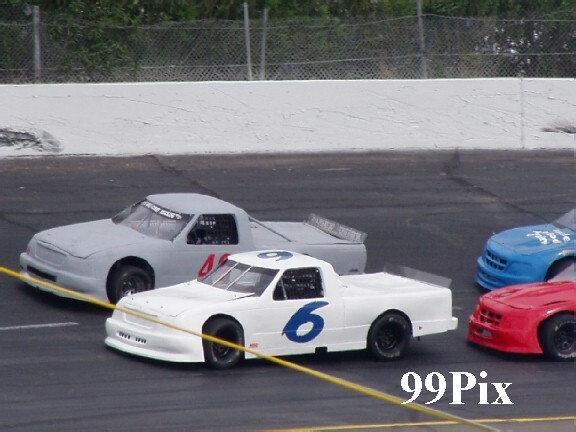 In Pro-4 Trucks racing, Mark Hensley,#6, of French Camp, took the checkered flag after letting the early front runners gradually eliminate themselves. Having raced at Stockton last year, he used the experience to come in ahead of Chris Drysdale, of Campbell. Hensley said it felt awesome to win. 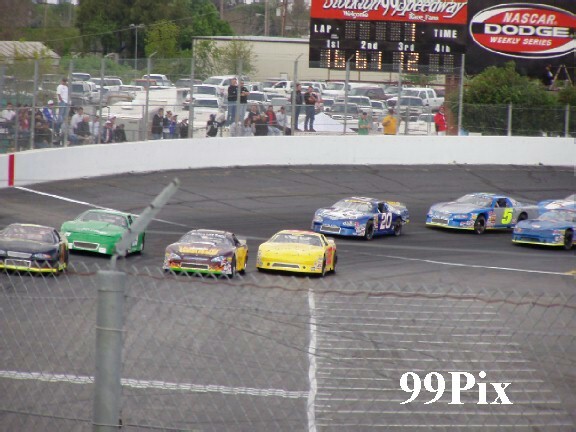 Chris Drysdale was second, Tim Furgurdes third, early leader Mike Curry, #48, of Lodi was fourth and Stockton’s Paul Murarik crossed the finish line fifth. Danny Basto, #64, of Lodi set a new Pro 4 Truck record at 15.322 in Qualifying.